Alongside the main road lies one of Coffee Bay’s best-kept secrets. 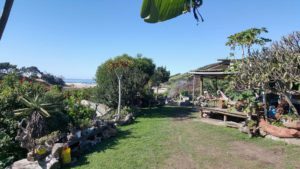 With an uninterrupted sea view, Sugarloaf Backpackers overlooks the main beach of Coffee Bay whilst cradled by the Nenga River. Organised and awesome, they offer a spacious bar, DSTV, pool table, ping pong, foosball, slack line and surf boards. They have a restaurant with tasty local seafood, as well as delicious burgers, pizzas, Baskets and always ask about the house dinners. 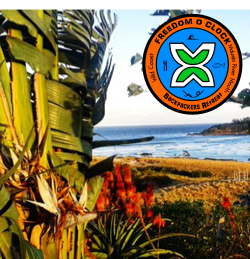 Not to mention their famous Xhosa bread, traditional potjies and braai nights. 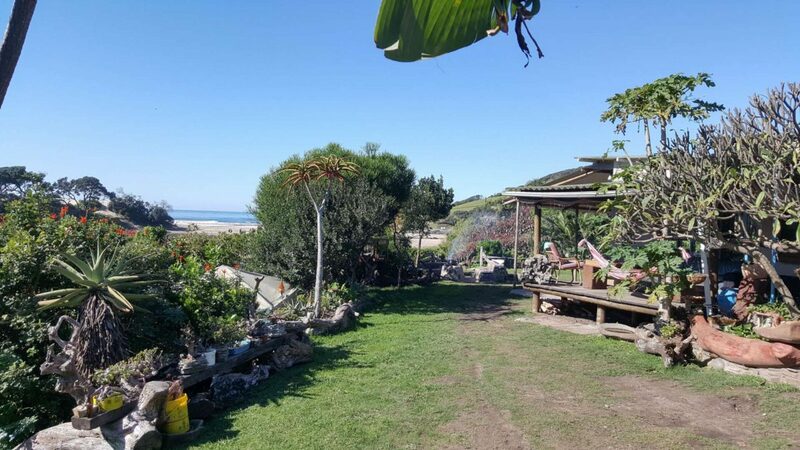 Sugarloaf Backpackers also offer guided tours to Hole in the Wall, Mapuzi with its cliff jumps and caves, Traditional xhosa village tours, Day trips out to some of our secluded beaches and unknown attractions, where you could admire tropical fish and rip some legendary waves. On the doorstep of paradise it’s ok to relax here, take time out and feel happy. Dorms from R150; Safari tents from R280, Family huts from R520; Giant Hut en suite Hut from R670; Camping/Campervans R150. Huts sleep 6, tents sleep 2 and dorms sleep 12. (R120 extra person for all rooms). Please note Seasonal rates and terms apply. Limited Wi-fi and a laundry service is available.